Upgrading or Installing Lighting in Clay, New York? Known as the contractor to call for lighting in Clay, New York, JP's Best Electric has been servicing the local area since 1986. Our installers have worked in countless homes and businesses across the region, providing lighting design and installation both indoors and out. Our experienced electricians are trained in local building codes. Working in Clay for years, JP's Best Electric technicians have completed outdoor lighting projects, as well as indoor lighting design and installation. Our staff must maintain up to date skills and JP's Best Electric provides fully licensed services for lighting projects of any size and serve both residential and commercial customers. JP's Best Electric deals with the leading lighting manufacturers, offering Clay customers the best and latest technology, fixtures and controls. Combine quality materials with expert installation and your Clay lighting project will be well taken care of by JP's Best Electric’s professional staff. 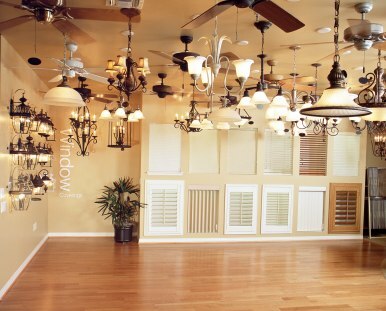 From modern ceiling fans and light fixtures to the latest track lighting and recessed lights, JP's Best Electric offers high quality materials in both classic and modern styles. Lighting design and installation projects move forward efficiently with JP's Best Electric at the helm. Clay residents can rely on prompt service from the estimate stage, straight through to the installation and final inspection. JP's Best Electric electricians aim to create trust with every Clay customer, keeping their word and doing a careful job every time. Customers that are planning to install lighting in your Clay, New York home, office, or facility, you can trust the experience and reliability of JP's Best Electric. For high quality materials and professional technicians, call JP's Best Electric at (315) 465-0395 to arrange for your free quote. 5★★★★★ - "JP's was great. These guys are perfectionists. They stay at it until it's done & it meets their high standards. Very quick response & they show up as scheduled. Very cost competitive." 5★★★★★ - "Great service, on time, and very professional and courteous. Everything I needed and was done, was explained to me so I could understand. I had a lot of questions and the 2 electricians were super. I would rate them a "10" if I could score that high. I will certainly use them again and recommend them to family and friends." 5★★★★★ - "Very knowledgeable, strictly business." 5★★★★★ - "professional.... with high quality work"
5★★★★★ - "Very easy to contact regarding electrical emergency on recent evening . Spoke to owner who sent crew first thing following morning. No power or heat meantime due to downed power line in front of home. Techs were courteous and answered all my questions satisfactorily. They restored power by late day. Would hire again and recommend to others." 5★★★★★ - "JPs crew was great, the price the quoted me was reasonable for the amount of work I had done. They were knowledgeable and answered all my questions and concerns. They were on time and took pride in their work. I definitely recommend them and would use them again." 5★★★★★ - "Very through, prompt and friendly." 5★★★★★ - "I had them install a ceiling fixture that had been in the family and had sentimental value. Unfortunately, it was missing some parts. They had the necessary parts available and did a great job. The price was very reasonable and cleaned up after themselves. I would definitely use them again." 5★★★★★ - "JP was fast and friendly. No wasted time on chitchat. Went right to work and had everything they needed right in the truck." 5★★★★★ - "I would definitely recommend Joe and his crew to anyone. I had them install recessed lighting in my kitchen. When I originally talked to Joe on the phone about what I wanted to do, I felt it was going to be too involved and expensive because there was a bathroom above the kitchen and might have to cut a lot of ceiling and then repair it. Joe called me back the next day and suggested he come out and and look at it and maybe he could give me some suggestions that might work.I am so glad he did that because he was able to do the recessed lighting with very little cutting to the ceiling. They were very prompt, neat and knowledgeable. Would definitely hire them again." 5★★★★★ - "Quick and effeciant quality work." 5★★★★★ - "Hands down the best experience. They came in under $100 for the work done from original quote. They were fast, respectful and friendly. They answered all of my questions. We're super friendly to my 3 young kids. Showed up on time and ready to go!" 5★★★★★ - "Called and talked to the Boss, Joe P at 10:00 hrs this morning. He said he was very busy and he would see what he could do. Called me back in 10 minutes and told me he would have Seth, his employee, at my house by noon. Seth got here at 11:00 hrs ( I am retired Army) and finished the work I needed to be done by 1300hrs. Three hours, flash to bang. Thanks so much to both of you. Highly , highly recommend them." 5★★★★★ - "Thank you guys so much for all your help with the upgrade of our electrical panel we feel much more at ease now"
5★★★★★ - "Did a great job. Very helpful and professional. Plan to hire them again for additional upgrades and repairs"
5★★★★★ - "Josh & Seth added a dedicated circuit for microwave and disconnected non-working whole house fan which was a hazard I was not aware of. I was very pleased and would use them again as well as recommend them to others"
5★★★★★ - "On time and as quoted." 5★★★★★ - "Very knowledgeable, very careful and thorough, overall very impressive." 5★★★★★ - "On time. Pleasant . Knowledgeable." 5★★★★★ - "Replaced Switches in master bath"
5★★★★★ - "The owner explained that there was a $75.00 service charge just for his 2 electricians showing up. Both gentlemen seemed very qualified. That being said, they did the job exactly as described by the owner when I spoke with him earlier. I'm happy with the job done and the price paid." 5★★★★★ - "On time, friendly and efficient. Good job!" 5★★★★★ - "I had outdoor light fixtures that are attached to front of my garage that were not working. Josh and his crew arrived on time and quickly diagnosed the problem related to an entryway light that was on the same circuit. I was also using the wrong type of bulb. Problem fixed and now I have what I like to call my "nite security" up and running. Great job!" 5★★★★★ - "This company is very professional and respectful. In on time and did a great job." 5★★★★★ - "Friendly, Efficient Service"
5★★★★★ - "They found the problem quickly"
5★★★★★ - "This is the second time I have hired this firm. Like before they were very courteous and professional. They did not leave until everything they did was perfect. Very satisfied with everything." 5★★★★★ - "They were at my house promptly at 2pm. Very polite from the get go. Assisted me with a few added projects and didn't want to leave until it was perfect. They are a godsend, to be honest. I will be contacting them in the future for more work. If you need electrical work, this is THE place to go through. You will not be disappointed." 5★★★★★ - "Two guys showed up within an hour after calling. Grounded 8 outlets and installed 3 light switches all within just about hour and half. For most part were in and out." 5★★★★★ - "On time and as quoted"
5★★★★★ - "After making the online appointment, they called the same day to confirm and find out more details about the issue. JP arrived on time, fixed the problem quickly and the cost was reasonable. I would definitely recommend and use them again." 5★★★★★ - "Prompt, professional and a pleasure to work with. I intend to use JPs Best Electric whenever I need an electrician"
5★★★★★ - "The two gentlemen who came were ultimate professionals. They explained, in depth, what the issues were with our electrical outlet, & pointed to the fact that it was unprotected ( very old). They quickly installed the new fixture & afterward gave both of us extended instruction on how to use it. They were absolutely charming, gracious over my odd sense of humor. & we were delighted with them both. They are on my phone list as the first, & only company to call with any, & all electrical problems. We could not be happier with the Home Advisor service which made this repair an easy & speedy fix." 5★★★★★ - "Awesome work, workers were great!I highly recommend JP electric to anyone!Thanks again." 5★★★★★ - "I was surprised when not one but two electricians showed up and right on time. Both friendly, professional, and knew their stuff. Work was completed in little over an hour and our problem was solved. I would definitely use this company again." 5★★★★★ - "He knocked it out of the park!" 5★★★★★ - "Very relaxed visit for the quote. Didn't try and push anything extra. Very professional on installation day. No complaints." 5★★★★★ - "The two young men who showed up to trouble shoot my attic fan were very courteous and efficient. They tried to eliminate the noise problem but were unable to, but they assured me there was no problem with the fan other than age. What they don't know, however, is that later that night when I turned the fan on, there was no noise emanating from it. Mission accomplished!" 5★★★★★ - "They were prompt. We reviewed all the things I needed to be done and they gave me the best advice to complete all the items. They were very courteous and worked with me within the time constraint I needed. They are one my list of contacts in the future." 5★★★★★ - "Very responsive and, knowledgeable. When they had questions called in resource to ensure job completed correctly. I may have reviewed before but when the second problem occurred they were the first ones I called. Respectful prompt and clean and customer focused." 5★★★★★ - "Prompt and courteous. I will definitely reach out again for future electrical needs." 5★★★★★ - "Very professional, willing to give advice as to best choice for materials and work done in a timely manner! Really happy with this company!" 5★★★★★ - "Don't even bother getting estimates from other electricians. Great service, prompt and courteous, competitive pricing. Joe, Josh and Seth are super." 5★★★★★ - "I was very pleased with the work done. They arrived at my house early to fix ungrounded outlets. They fixed 12 outlets, found a bad breaker, and rewired a bad outlet. Great service for the money!!! Highly recommended!" 5★★★★★ - "Josh did our work today. He found the problem fast and even fixed another problem we were having. Treated us like people and not just another job. I will be hiring JPs again. A+++++++++." 5★★★★★ - "Fantastic experience with JP Best electric. Everyone I dealt with was professional, friendly and courteous. Promptly on time and Josh and Seth were great." 5★★★★★ - "Josh and Seth arrived promptly, investigated the problem, explained it thoroughly, quickly fixed it, and cleaned up dust and debris. Will call again for future electrical needs." 5★★★★★ - "Our project was completed quickly and was able to be scheduled the same week that I had called." 5★★★★★ - "I was the last call for the day. Met Josh and he was terrific!! Had the problem solved and corrected in about 15 minutes. He was so courteous, professional and knows his stuff. Now I have an electrician for any future needs!! Thank you to Joe as well for getting the service scheduled so quickly. I now have peace of mind and I don't have to worry about the GFI outlet." 5★★★★★ - "Our work was handled by Josh - he was professional and efficient. Overall, our first experience with this company was positive. We will certainly contact this company (and request Josh) for any future electrical problems." 5★★★★★ - "Arrived on sched. and completed work in a timely manner. A little pricey however the work was professonal and courteous, would hire again when needed." 5★★★★★ - "The work was done quickly and efficiently by two very pleasant and qualified men. My only concern was that the cost of the project was a bit higher than was tentatively quoted to us. Perhaps some of the extra cost was due to having to correct a portion of what I had done in preparation ... I don't know. In any event, I would call them again to do electrical work if we needed it. "u"
5★★★★★ - "Very knowledgeable, professional & thorough. Nice person & very friendly." 5★★★★★ - "Unfortunately, I can't remember the name of the gentlemen whom installed a 110 line for installation of our new kitchen stove. Both gentlemen were extremely professional and explained exactly what needed to be done and completed the task in a very timely manner. I would DEFINITELY recommend JP's Best Electric to my friends and coworkers." 5★★★★★ - "Electrician showed up on time and completed work efficiently. Had a couple of unexpected problems and corrected them while on site. Would definitely recommend them to anyone needing an electician.When I need an electrician will definitely call upon them." 5★★★★★ - "The electricians they sent were very friendly, and very experienced in what the problems I had. Would definitely hire them for all my home electric needs." 5★★★★★ - "Thanks to JP's Best Electric, my stove outlet is no longer a HUGE fire hazard. So scary!! They did such a great job and I am so thankful. Anyone in the area looking for an honest electrician who does top quality work, call JP's." 5★★★★★ - "Awesome job. They were prompt and very professional." 5★★★★★ - "JP was on time and courteous. He did a professional job." 5★★★★★ - "Excellent work, very professional and excellent customer service!" 5★★★★★ - "JP was very professional and knowledgeable. I could tell within five minutes that he was a quality professional that knew what he was talking about. While he could not do all the work right away due to my late notice, he is scheduled to come back out tomorrow to finish up. I would recommend JP to everyone!" 5★★★★★ - "Knowledgeable, well organized, competent and manages his staff effectively." 5★★★★★ - "Two knowledgeable guys! Friendly, professional behavior. Took the time to review an additional situation for possible future service." 5★★★★★ - "They actually arrived early - were very friendly and knowledgeable - took care of everything we needed and at the price quoted." 5★★★★★ - "Responded quickly to setup appointment - Sent over work crew to meet our schedule - they were very professional and fixed issue to our satisfaction. More importantly the prevented us from doing something not to code and also assisted us in resolving an issue without their assistance and charging us." 5★★★★★ - "Very polite and professional. They did excellent work and were very helpful in explaining everything they did." 5★★★★★ - "Very professional, fast and friendly!" 5 ★★★★★ - "These guys are the best! !...Great work cleaned up after themselves. Very good work ethic..Great to business with, on time and very efficient. Would definitely call again!!!" 5★★★★★ - "Joe and his guys did a great job. They installed ceiling fans and can lighting for us . They made sure I was happy with placement of everything before they cut holes and installed. He went above and beyond for US! I asked for specific things with switches and Joe made sure I got what I wanted. We are very very happy with the work!" 5★★★★★ - "JP's Best got back to me the day after my initial inquiry and came over to assess the work needed. He worked up a fair quote that was about what we expected and got the ball rolling to coordinate himself, National Grid and the electrical inspector. They finished the work earlier than expected on the day of the job. There were no issues with the inspection and he also gave us his recommendation for what other electrical work should be done on our house. He wasn't pushy and said to just give him a call when we were ready. His crew was friendly and professional. They cleaned up the debris and put the metal out to the curb. Overall we are very happy with the job that they did for us and we will use them again when we are ready for our next project." 5★★★★★ - "Courteous and professional - let us know when he would be there, detailed the costs, and stuck to his estimate. We will definitely use them again." 5★★★★★ - "To start, he was 5 minutes early. You can tell that he really respects is customer's time. His estimate of the project was DEAD on. VERY professional. Dusted my mantle and vacuumed my floor (and was great with my dogs). Can not say enough good things about this electrician. Will see them in a week for another project!" 5 ★★★★★ - "These guys were great....Nice neat clean work done to top standards....Joe was great to deal with and he completed the job as requested...I would highly recommend them to anyone.."
5★★★★★ - "Response was quick. Crew was professional, friendly and efficient. Final price well within estimate range." 5★★★★★ - "JP's Best Electric responded promptly to my request to get a new circuit run for an electric dryer. We ended up not only doing this, but also upgrading the circuit breaker on the home. Their prices were reasonable and the work was efficient. I will be hiring them again for any future electrical work. " 5★★★★★ - "On time, Knew what to do with out trying to jack up the price like some Places i looked into . They were very professional and when they were done they left a clean work area." 5★★★★★ - "Josh and Seth were FANTASTIC!! They really knew what they were doing and offered suggestions to improve the entire project. It is plain to see why they are considered the A Team ... :) Joe runs a great company and I will be using them again for all electrical projects and endeavors!!" 5★★★★★ - "Joe has been great to work with so far, I look forward to working with him again soon!"